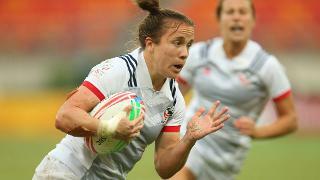 World Rugby has confirmed that Kenya's women's rugby sevens team will compete at the Rio 2016 Olympic Games. The announcement follows confirmation by the South African Sports Confederation and Olympic Committee (SASCOC) to the South African Rugby Union and World Rugby that it does not intend to accept a place at the Games, which the South African women earned via the Africa regional qualifier. Kenya, who were runners-up in the qualification tournament held earlier this year, will now take the coveted place. The Kenya NOC has accepted the position in accordance with the Olympic Games qualification rules. World Rugby Chairman Bernard Lapasset said: "It is with great excitement that we welcome Kenya to the global line-up of women's teams for the rugby sevens competition at the Rio 2016 Olympic Games. "Kenya are at the forefront of women's rugby in Africa and we look forward to seeing them representing their nation and the African region at the Games alongside the men's team. "Excitement is building after a breath-taking start to the women's and men's HSBC World Rugby Sevens Series and all roads lead to Rio and a game-changing Games for rugby." The world's top women's sevens players will make history when they become the first rugby players to compete for an Olympic Games medal for 92 years with 12 teams competing over three days between August 6-8 before the men take to sport's biggest stage between August 9-11. Both competitions will be played at the purpose-built rugby sevens venue in the Deodoro complex and with tickets selling fast, fans are urged to secure their opportunity to see the world's top rugby sevens players in action as rugby makes Olympic Games history.